Regardless of the fact that smoking isn’t as popular as it once was, as of 2016, in the United States alone, there are almost 500,000 people a year dying from smoking cigarettes. Another 16 million live with a disease that is related to smoking. So, if electronic cigarettes can reduce that number safely, why is there such an uproar about them? 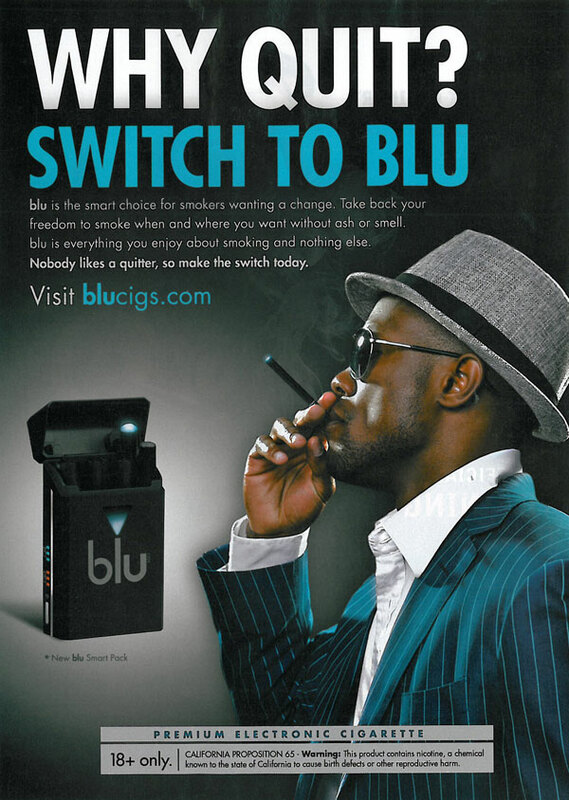 Some experts say that there is very little risk in using electronic cigarettes to help smokers quit. With the research and studies done to date, e-cigs are effective and safe when compared to the potential impact on public-health impact. Especially when you compare the astounding toll of cigarette caused death and disease around the world. Electronic cigarettes should be continually analyzed and evaluated just as anything new is, not just based on what information comes from the manufacturers. Study of any potential effects in the long-term will take years and years, but based on what is known today, electronic cigarettes are effective and safe in helping smokers quit. Experts along with the U.S. Surgeon General have found links between smoking-related diseases and the combustion products of smoke from traditional cigarettes. What they have not found a link is any disease related to the nicotine that is found in both electronic cigarettes and traditional tobacco cigarettes. While nicotine is an addictive substance, it has not been found to cause issues that smokers have such as cancer, lung disease or vascular disease. When a smoker decides to quit any nicotine habit, their success rate is 5% or less for long-term success. With medical assistance, that increases to approximately 10%. Nobody will argue that anyone that wants to quit smoking tobacco cigarettes should have their doctor’s complete support. And those doctors should be well informed and versed in recommending effective and safe treatments. As of today, many experts say that the medical evidence in supporting electronic cigarettes as being effective and safe is very sparse. To date, only 1 random clinical trial has been held that compared electronic cigarettes with nicotine patches and the findings weren’t all that impressive. The rate of successful quitting was 7% for users of electronic cigarettes and 6% for users of nicotine patches. Electronic cigarettes and other treatments have not been subject of any other random clinical trial for health providers that was approved by the USFDA yet. Those other regiments include a variety of nicotine treatment such as medications of bupropion and varenicline, nicotine gum, inhalers, lozenges, nasal spray, or nicotine patch. Note that each of those regimens require ongoing counseling to get the best effect and results. Find out more about die beste elektrische Zigarette in the article right here. Where many experts that are opposed to electronic cigarettes have some ground to stand on is that the majority of those who switched to electronic cigarettes continue to smoke traditional cigarettes. What they did manage was to add another habit to their lifestyle. There have been approximately 20 studies performed of those who used e-cigarettes to quit smoking versus smokers that quit without using e-cigarettes. The results from these studies found that those who used the e-cig to quit weren’t as likely to be successful as those who didn’t. Vaping these days is a pretty safe pastime, despite the fact that the media would have us all believe that devices are exploding every day of the week. Nevertheless, it’s still important to handle your batteries properly to ensure that you can vape safely without any worries. So, what do you need to know about your 18650 batteries? The first thing to note is that e-cigarettes in themselves don’t explode, however the 18650 batteries that they use do run the risk of explosion should they be handled incorrectly. The good news is that looking after your batteries is a breeze as long as you follow these essential tips. What Steps Can I Take To Care For My Batteries? Check for any defects – although batteries are generally very safe, over time damage is possible. Check your battery regularly and if you see evidence of any external peeling, signs of wear and tear, or holes or dents in the outer wrapping, you should immediately stop using it and use a new one instead. Store your battery properly – to make sure that your batteries are stored safely, keep them inside a plastic case whenever you are not using them – improper storage is one of the main causes of battery explosions. Keep your battery out of direct sunlight – extreme temperatures can cause your battery to overheat and explode. Never leave it near a flammable material. Keep you battery away from other metals – contact with other metals may be dangerous, so ensure that you never leave your battery loose inside a drawer, pocket or purse. Keep your e-cig battery clean – always clean your battery if it is dirty, however never do this using water. Use a tissue dipped in alcohol to remove debris or dirt. Always charge your battery safely – explosions may sometimes occur if your e-cig battery is charged incorrectly, so take steps to ensure you are recharging in an appropriate manner. Only use a charger which has been designed for use with your specific battery type as using the incorrect charger may cause your battery to overcharge, thus overheating. Never overcharge your battery – once your battery is fully charged, always unplug your charger. Never use an undercharged battery – not only is overcharging a hazard, but undercharging is also a potential problem. Never use an uncharged battery in your device. Always insert your battery properly – always follow your device’s instruction for inserting your e-cig batteries correctly. Always buy your replacement batteries from a reputable and reliable source. If you follow these sensible and simple tips, you can rest assured that you will be doing your utmost to ensure that your e-cig battery is safe for use. While there is always the possibility of having a faulty battery, taking care and only buying from a reliable source will minimise your chances of having a problem. Can I Get More Nicotine Out Of My Vape? If you’ve been chain smoking for years, when you switch to vaping no doubt you’ll find it a challenge to cope with those nicotine cravings. E-Cigs are a great way to kick the habit, but if you can’t get the fix you need, you won’t be able to stick with it. While not so long ago it was possible to use e-liquids with a 2.4% nicotine content which was perfectly adequate to satisfy the needs of heavy vapers, recently the EU have brought out a ban that means that such a high content cannot be purchased. The result is that one of the questions vapers everywhere are asking is whether there’s a way of increasing the amount of nicotine that they get out of their vape so that they can stay off the tobacco and yet still have a great vaping experience. The good news is that the answer is yes – there is a way of getting more out of your e-cigs. So read on, and find out more. Why Do We Need To Get More Nicotine From An E-Cig Than A Cigarette? Whenever you smoke a tobacco cigarette, you absorb nicotine into your lungs, however experts say that vaping a cigarette also causes nicotine to be absorbed in the passages of the airways and throat. It also appears that nicotine is absorbed slowly through this method and this may explain why e-cigs seem to be not as addictive as a tobacco cigarette. However, it is for this reason that many vapers, and especially ones who have just made the switch from tobacco to e-cigs, require an e-juice with a greater nicotine strength. How is the amount of nicotine you receive from your vape determined? Inside your clearomiser or tank there’s a coil which heats up to vaporise the e-juice. If you want to create more vapour and thus more nicotine, lower your coil resistance. The coils that create most nicotine are under 1 Ohm i.e. a sub ohm coil. You will need an e-cig battery with adjustable voltage and wattage, and getting the wattage right is key to your success. You will need to check out your tank’s instructions to ensure that you get the correct power range for your device. Remember, resistance and power go together, and if you use a higher power without reducing your resistance, the chances are that you’ll burn your coil out. However, if you reduce your coil’s resistance without increasing its power, you won’t get a lot of vapour. The key is to reduce your coil resistance and increase the power simultaneously. While basic batteries and tanks do not usually have any adjustable airflow options, a more advanced tank will have a variable airflow. You should open your airflow if you are vaping at a high power setting as this will cool the vapour. On the other hand, if you’re a fan of stronger flavour, keep the airflow tight. If you are vaping at a high power setting you will need to prime the coil. You do this by dripping a small amount of e-juice onto the coil and allowing it to stand for a couple of minutes. Follow these tips and you’ll find that the amount of nicotine you get out of you vape will be higher and you’ll find your vaping experience a lot more satisfying. Hopefully, this will be enough to prevent you from falling back into that old tobacco smoking habit. Hello, I'm Timothy Jones, CEO and founder of this blog. I love writing about vaping/quit smoking and guiding people in right direction. Stay connected for latest updates and articles. Share with friends as well to make them aware of it. What’s Better – A Convection Or A Conduction Vape?